Often it is said that it is cheaper to live in Brisbane and Queensland than it is to live in Sydney New South Wales, however, according to expatistan.com the cost of living in Brisbane and Sydney are comparable. The results are quite surprising. Looking at a range of everyday items it is quick to see how comparable they are. One litter of full-fat milk in Brisbane is $1.29, and Sydney is $1.38. A dozen eggs will set you back $6 in Brisbane while in Sydney it costs $7. The price of Utilities 1 month (heating, electricity, gas …) for two people in 85m2 flat in Brisbane is $249 and in Sydney is is $207. On average 1L of petrol will cost you $1.36 in Brisbane and $1.41 in Sydney. 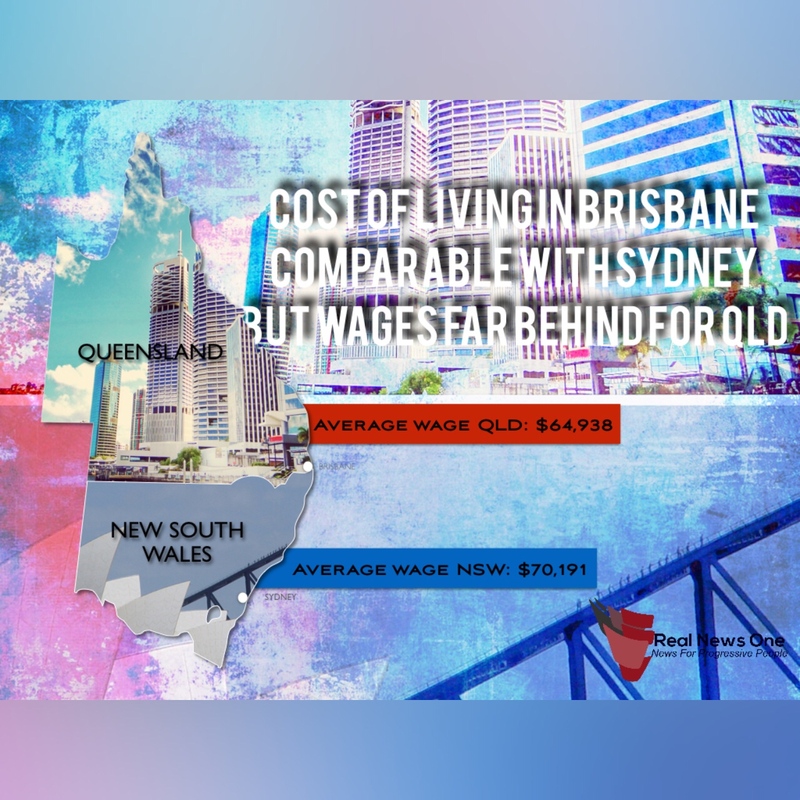 While the cost of living may be comparable between Brisbane and Sydney when it comes to wages, those who live in New South Wales earn more than those who live in Queensland. According to the Australian Bureau of Statistics, the average people per household in NSW is 2.6 while the median monthly mortgage repayments $1,993. Across the border in QLD, the average people per household is 2.6, the same as NSW. The median monthly mortgage repayments of $1,85o, $143 less than NSW. It has become apparent that the traditional analysis of house prices no longer holds any weight. According to the site payscale.com, the average salary in Brisbane is $64,938 compared to Sydney where it is $70,191. That is a difference of $5250 less for those in Brisbane.